﻿ SCENE - The movie reward program from Scotiabank and Cineplex Entertainment. Are You In? Choose from thousands of movies on the Cineplex Store when you redeem your promo code- FREE with purchase of Combo 1, 2 or 3 at Cineplex theatres. 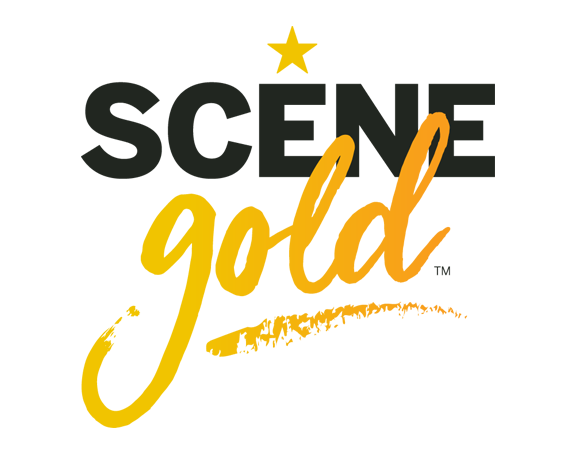 Get a free Cineplex Store rental when you purchase Combo 1, 2 or 3 at Cineplex theatres. SCENE rewards you with more ways to have more fun. It‘s FREE to join and easy to earn points. SCENE members get instant savings, like 10% off already-discounted Tuesday tickets! Earn SCENE points on all your everyday purchases when you get a Scotiabank SCENE payment card. It’s the fastest way to get FREE movies, meals, and more! Get up to 5,000 bonus SCENE points when you open a new account with a SCENE debit card∞∆. Keep rewards & your card at your fingertips! Being a member just got better! 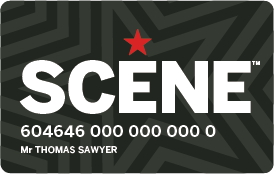 Get the new SCENE app to check out great rewards, get access to your card and ways to have more fun! Like SCENE on Facebook for access to exclusive contests, offers and ways to get more points! When you use your Scotiabank SCENE debit or Visa Card on everyday transactions. Open a new account with a SCENE debit card and get 5,000 points! Get to free even faster! 625 points for a general admission movie, 1,000 points for an Enhanced movie, 1,250 points for a VIP movie. Earn 50% more points at our partner restaurants and The Rec Room. Treat yourself to popcorn and drink size upgrades once/visit. Take movies to the max every week with Premium ticket upgrades (to 3D, UltraAVX or IMAX). Show your SCENE card to earn points and get exclusive offers on movies, meals, and more. You can redeem for FREE movies, $10 off your food and drink at the movies, or $10 off at one of 800+ restaurant locations. Rewards start at just 500 points! Show your SCENE card to earn points and get exclusive offers on movies, meals, and more. At just 1,250 points you can redeem for a FREE General Admission or 3D movie, $10 off your food and drink at the movies, or $10 off at one of our 800+ restaurant locations. when you purchase a General Admission or 3D movie ticket. General Admission or 3D movie for just 1,250 points. Craving more points? Treat yourself at 8 great restaurants and show your SCENE card to earn and redeem SCENE points. Just make sure you leave room for exclusive bonus offers, dished up monthly. your meal at 1 of 8 great restaurants for just 1,000 points. Get to FREE movies FASTER – now earn SCENE points on your ticket, and food and drink at the movies. for every $1 you spend on food and drink at the movies. Keep rewards & your card at your fingertips! Download on the App Store or Google Play. Opt-in to SCENE text message alerts by 30 April, 2019 for your chance to WIN 1 of 30 prizes of two FREE 3D movies. Follow us on social media and share your #mySCENEnight experience.